Tap, tap, tap. Recognize the all-too-familiar sound of your fingers typing out a message on your cellphone? SCREECH, BAM!!! That’s the sound of your car rear-ending the car in front of you. You were only sending a quick message, or so you thought. A vehicle traveling 60 miles per hour needs more than 200 feet to stop. Nationwide, distracted driving claimed 3,166 lives in 2017, according to the National Highway Traffic Safety Administration. In Texas, 1 in 5 crashes involves distracted driving, and that ratio that has not changed for the last three years. In 2017, 444 people were killed and another 2,889 suffered serious injuries in distracted driving crashes on state roads, according to the Texas Department of Transportation. April is Distracted Driving Awareness Month, and we can all make a difference to end distracted driving. 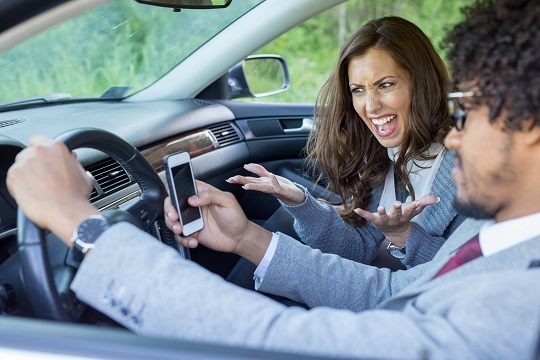 Distracted Driving is anything that takes your attention away from driving. This includes talking or texting on your cellphone, checking or posting on social media, adjusting your radio or GPS, even eating, drinking, or putting on makeup. So what can you do to be safe behind the wheel? Personal grooming occurs at home, before you get in the car. Eat before you depart. It may seem like a time-saver, but food spills are a distraction. Remember, multitasking is a myth. Your brain toggles quickly back-and-forth between thinking tasks, but cannot handle more than one at a time. When you are behind the wheel … Just Drive!